An Irvine synagogue was defaced with anti-Semitic graffiti overnight Tuesday, just days after the massacre at a Pittsburgh synagogue. Employees arriving for work spotted the vandalism about 9 a.m. Wednesday at Beth Jacob Synagogue, 3900 Michelson Drive. "We think it happened overnight," said Kim Mohr of the Irvine Police Department. The vandal spray-painted "(Expletive) Jews" on the synagogue, said Rabbi Yisroel Ciner. 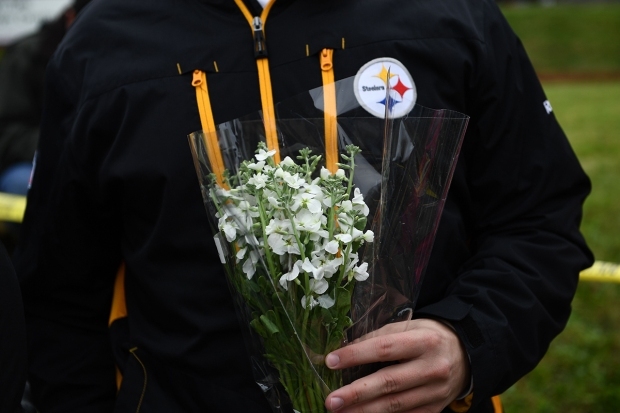 "Members of the Christian, Mormon and Muslim communities reached out to me after the horrific incident in Pittsburgh offering their support and solidarity," Ciner said. "We are saddened that such hate exists everywhere and even in our backyard." Beth Jacob Synagogue President Allen Berezovksy says he came to the United States from the Soviet Union escaping anti-Semitism. "To find it [anti-Semitism] here in America, in Irvine of all places, is unthinkable," he said. "It makes me very sad." Irvine police "are fully engaged in trying to find the perpetrator and to ensure the safety of all groups," Ciner said. "We're a resilient group and we're not going to let some fanatic affect us," he said. Allison Edwards, CEO of the nonprofit group OC Human Relations, encouraged citizens to report hate crimes and incidents. The biggest lead police have for identifying the vandal is a grainy security footage that shows the suspects getting away on a bike stolen from the property. "We really keep encouraging people to not let these things go unchecked or unreported," she said. "We continue to urge people to report crimes that are hate motivated -- it's the best way to reach out to communities and support them and to take action in the face of hate." The Irvine PD, in a prepared statement, said "Chief (Mike) Hamel and the men and women of the Irvine Police Department denounce, in the strongest terms, this type of hateful act. We are committed to our mission, working in partnership with the community to preserving the peace." Berezovsky hopes for safety in the community. "We are not going to let hate deter us from the message of love we try to spread." Anyone with information about the vandalism was asked to call investigators at (949) 724-7200. The number of hate crimes in the region jumped last year, continuing a trend that began in 2015, according to the OC Human Relations annual report. Last year, Muslims were the most targeted ethnic group in Orange County for "hate incidents," according to an Orange County Human Relations Commission report. Crimes against Muslims made up 13 percent of the 56 reported crimes, with Jews the second most targeted group at 9 percent. Acts of hate against Jews have been on the rise. 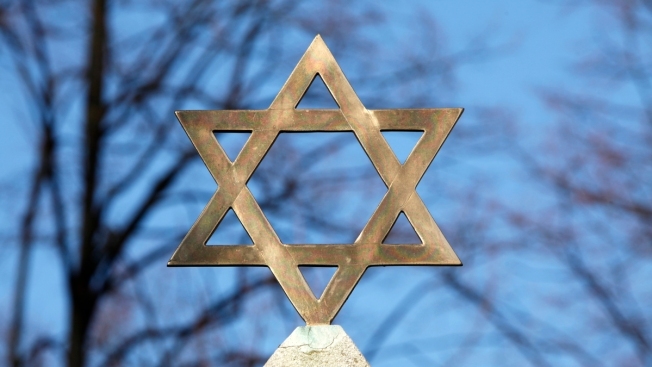 In February, the Anti-Defamation League reported that the number of anti-Semitic incidents against Jewish institutions across the country rose nearly 60 percent last year over 2016, the largest single-year increase on record. Hetty Chang contributed to this report.